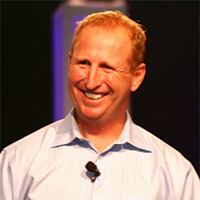 Steve is the President and Founder of the nationally acclaimed communication firm game on Nation. Over the past 17 years, Steve has developed a unique game-based curriculum called MILE™, powered by the science of Game Dynamics. He is considered one of the industry’s most respected presenters on leadership, team building, communication, and positive culture change. Some of Steve’s recent clients include NASCAR, USO, Hilton, Ernst & Young, United States Olympic Committee, Pittsburgh Pirates, Florida State Football, University of Kentucky Basketball, Cleveland Cavaliers, Wounded Warrior Project and the current US Women’s National Soccer Team. Steve has also helped prepare ten #1 overall draft picks and over fifty 1st round NBA, NFL, and NHL draft picks. He has been featured in Sports Illustrated, Sporting News, New York Times, The New Yorker, LA Times, BBC Network, Big Ten Network, ESPN “Outside the Lines”, ESPN News, ESPN The Magazine, and ABC News. In his past career as an actor, Shenbaum was featured in “American Pie 2”, “EDtv”, “Space Jam”, “Will & Grace”, “Dharma and Greg”, and more than 50 national commercials. Steve graduated from Northwestern University with a degree in Theater and Performance Studies and also trained at the British American Drama Academy in Oxford, England. Steve is currently the Communication and Media Trainer for the NBA Pre-Draft Program, and serves on the Advisory Board for Derek Jeter’s new business venture, The Players’ Tribune.